It was a windy autumn day in Kelowna, BC. A. Tree wandered the streets. There weren’t too many people wandering around. However, he did see quite a few homeless people. A. Tree handed each homeless person an apple and while he knew they appreciated it, he knew they needed something more. “If only I could give them something warm,” said A. Tree. “Warm as in apple pie,” a voice behind him said. “I just happen to know that there is going to be half a dozen apple pies and a few dozen apple muffins available after our apple desert contest this afternoon,” said the voice. “My name is Stella,” said the woman. “How about I donate the apples?” asked A. Tree. “That would be wonderful,” said Stella. “I will bring the apples if you do the baking,” said A. Tree. “We have a deal,” said Stella. A. Tree told every homeless person he could about the contest. They all went to the event and they were truly warmed up with all the warm baked goods. A. Tree was very happy that the homeless were at least getting something warm to eat. Stella invited the homeless to attend other cooking events she knew about. Some of the homeless actually decided to help with the events by setting tables, cleaning dishes and even doing some of the cooking. “I am grateful I overheard your outside voice that day,” said Stella. “I am too,” laughed A. Tree. Sometimes using your outside voice can have benefits. Example: A. Tree used his outside voice and because of that he was able to get something warm for the homeless to eat. This entry was posted in A. 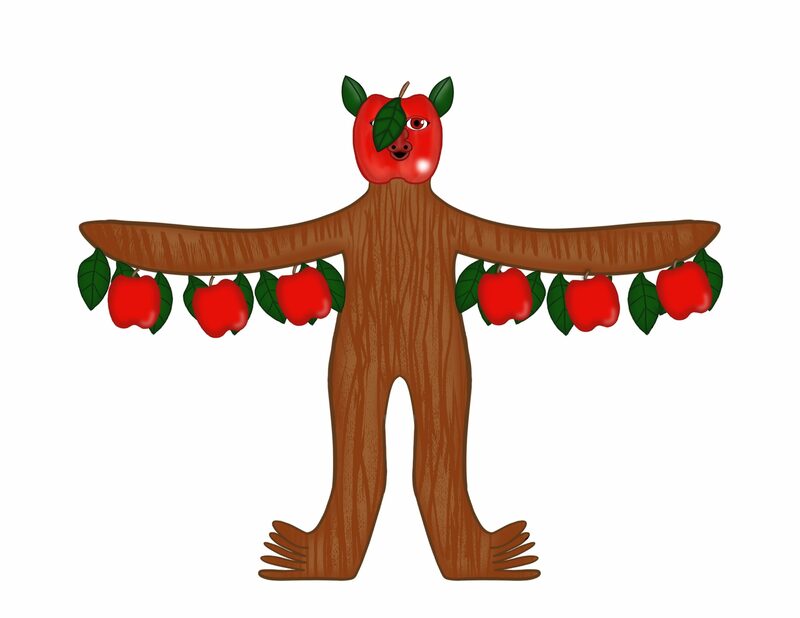 Tree Stories, Autumn Stories, Autumn Story Challenge 2018, Grade 3 Level and tagged apple pie. Bookmark the permalink.